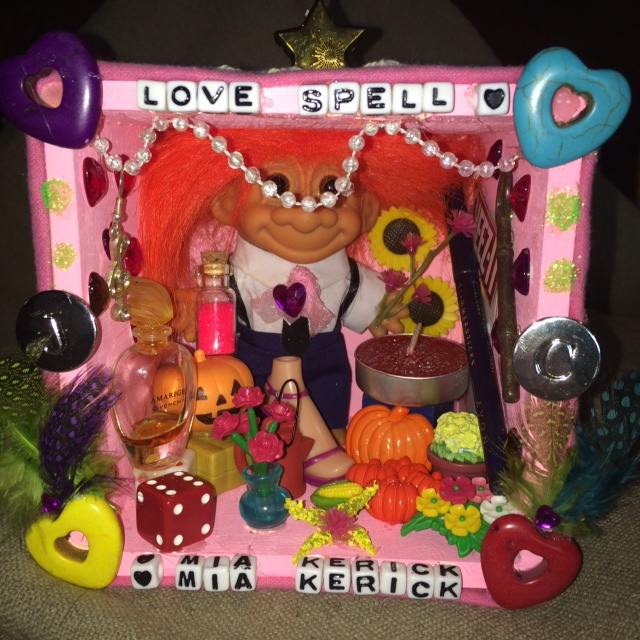 DEMI MADE ME A SHADOW BOX to celebrate the release of LOVE SPELL on June 1st!! HI FRIENDS and RANDOM VISITORS!!!! My nineteen-year-old daughter Demi is a dancer who cannot dance as she just had surgery on her ankle. So she has jumped into the art world to express her creativity. 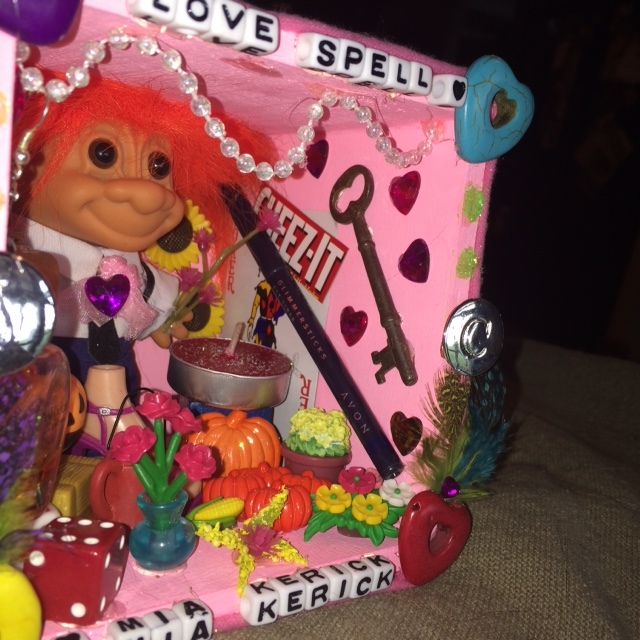 Demi made me this AWESOME SHADOW BOX celebrating the book that she read and loved, LOVE SPELL, that will release June 1st from CoolDudes/YoungDudes Publishing. THIS IS AWESOME!! TOTES FAB!!! 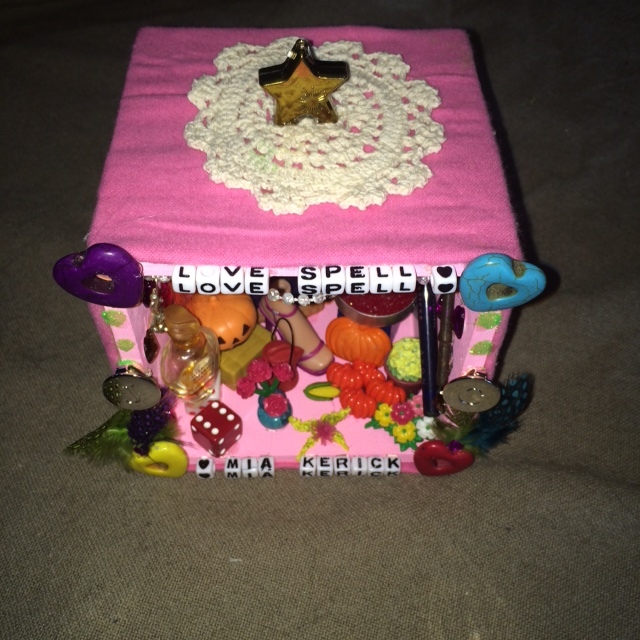 Here’s a more distant view of THE AWESOMESAUCE LOVE SPELL SHADOW BOX from above!! Let’s look at the tiny details!!! Notice the label from the Cheez-It box… cracker tranquilizers, yeah. And the candle… a must-have for any respectable love spell. I see black eyeliner– can you say Captain Jack Sparrow? Hehehe. Where’s the Cherry Chapstick, huh? Is that a joker card? Are you calling Chance a joker, Demi? And is that the key to Jazz’s heart? Let’s look a little bit closer, shall we? There are some pumpkins… quite significant. And is that a bottle of “signature scent”? 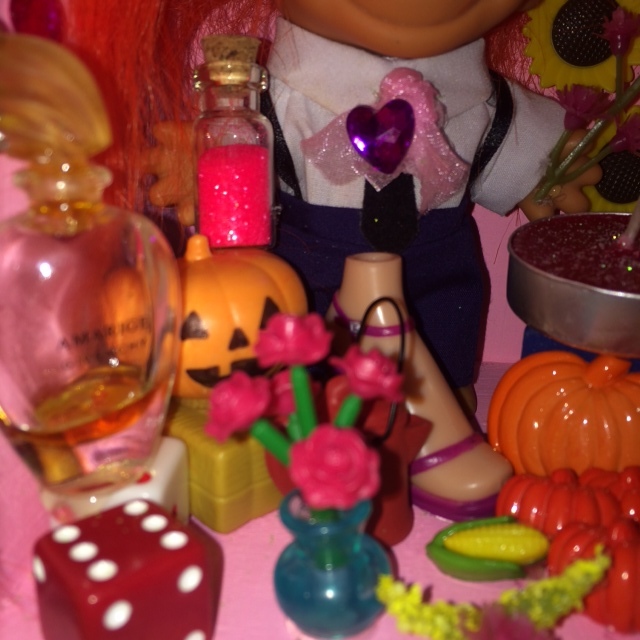 And do you see a little bit of sparkly love potion in a tiny bottle? Are those brilliantly colored male peacock feathers I spy? Bottom left and right!! Maybe Chance will knock you over with one! I bet if you look even more closely you will see more details that are pertinent to the story Love Spell. 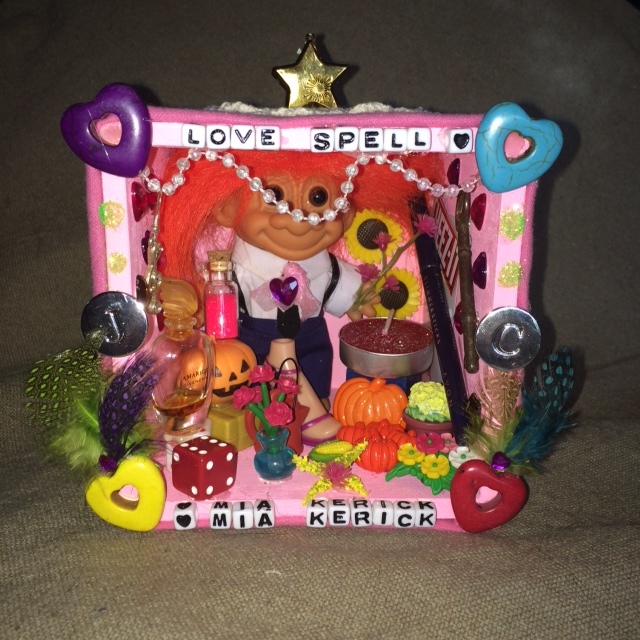 Thank you to my daughter for creating a LOVE SPELL SHADOW BOX that is to die for!!! Woot!! 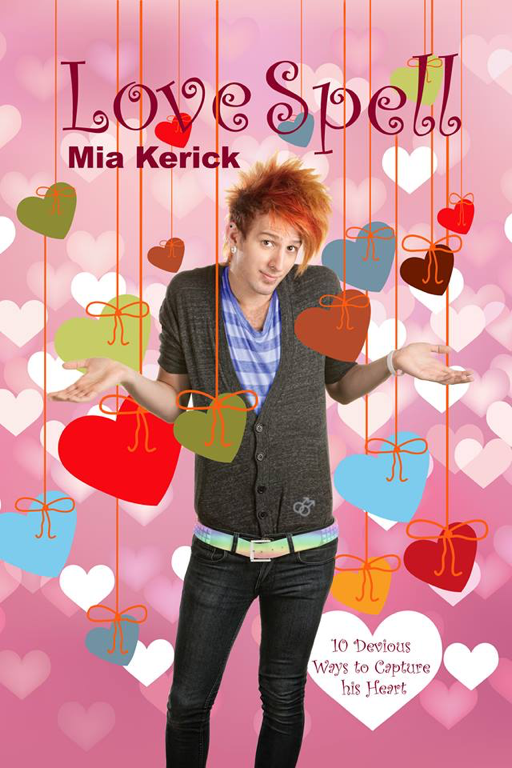 ← Very happy with my Kirkus Review for Love Spell!! Love it!! All the details are so cute! But I must ask, where are the Cheez-its!! She was going to put an actual Cheez-It in there- painted with glue, but since I want to keep the shadow box, she decided to use the box label! Haha!